plant hire as the muck shifting industry continues to go from strength to strength. and gives good traction without damaging haul roads like some of the other trucks that we have tested at our facility. reporting available to us allows us to pass important telematic data on to our customers including utilisation, fuel consumption speeds etc. reducing the chance of accidental rollover of the machine. 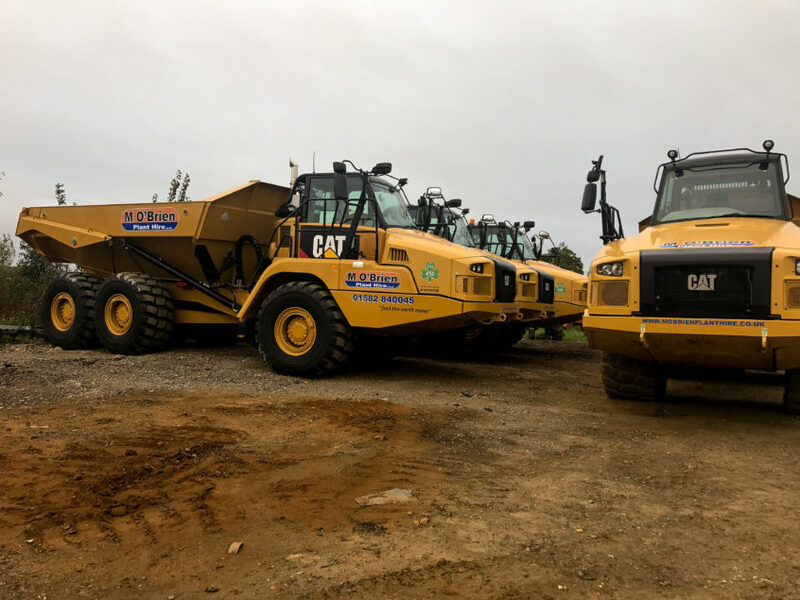 As part of this package M O’Brien has also received delivery of new Cat D6T LGP Dozers and 320E Excavators. Our Dumptrucks are now ready for hire nationwide, supplied with operators or on a self drive basis.